Vinay Kaura, PhD, is an Assistant Professor in the Department of International Affairs and Security Studies at the Sardar Patel University of Police, Security, and Criminal Justice in Rajasthan. 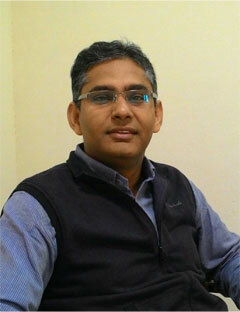 He is also the Coordinator at the Center for Peace and Conflict Studies in Jaipur. His research interests include: India’s neighborhood policy, Afghanistan-Pakistan relations, counter-terrorism and counter-insurgency, and conflict resolution in Kashmir. He writes on issues pertaining to national security and foreign policy. In March 2017, he was at the George C. Marshall European Center for Security Studies in Germany to participate in the Program on Terrorism and Security Studies. In the renewed diplomatic push for a negotiated end to the conflict, if the U.S. shows some flexibility on a power-sharing formula, the Taliban may also offer a pragmatic concession—acquiescence to the continued presence of some U.S. troops in Afghanistan. A rare prospect for peace has come into sight in Afghanistan in the wake of Afghan President Ashraf Ghani’s bold offer to the Taliban. Many of the elements of Ghani’s peace offer are familiar, but taken together, they constitute unconditional and comprehensive confidence-building measures aimed at reconciliation with the insurgent group.